Reverend Elbert Jake Sasser, 95, Navy Veteran of Elizabethtown went home to be with the Lord on Tuesday, January 22, 2019. He was preceded in death by his parents: Jabe and Elvinia Sasser, his wife: Mary Lou Sasser, daughter: Neil Gray Sasser, son: Charles Elbert Sasser, and three brothers: Earlie, Leo, and Herman Sasser. Reverend Elbert leaves behind one son: Robert Sasser (Sabrina) of Bladenboro; five daughters: Virginia Watts of Trinity; Sherlon Gooden (Kenneth) of Elizabethtown; Nellie Parker (Jimmy) of Delco; Kathleen Landreth of Elizabethtown; and Lucille Wilkins of Elizabethtown; two sisters: Larue Stocks of Tabor City; Ruth Hahn of Virginia; 23 grandchildren, 44 great grandchildren, and 10 great-great grandchildren. Reverend Elbert J. Sasser was a beloved husband, father and grandfather. He was known as a kind, generous, hard working man who inspired people with his faith and hope in God. 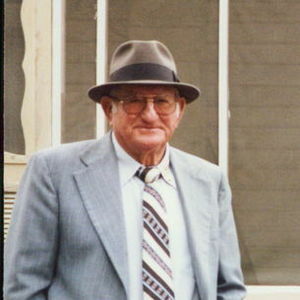 He spent most of his life as a devoted pastor. His passion for preaching began as a young adult and he faithfully served until he returned back to his heavenly home. The family will receive friends from 1-2 pm on Saturday, January 26, 2019 at Bladen Gaskins Funeral Home in Elizabethtown followed by a 2 pm funeral service in the chapel officiated by Rev. Charlie Tatum. Burial will follow the services in the Mt. Horeb Cemetery in Council, NC. Add your thoughts, prayers or a condolence to Elbert 's guestbook.